Renata Buzas and her husband Tibor, their children Tibor (13), Mercedesz (11) and Lili (9) are scheduled to be deported in one week, on Thursday, July 3rd. The Buzas family is of Roma ethnic origin and fears to return to their native Hungary, where racist violence against Roma and Jews is again on the rise, against a background of long-standing, deep-rooted discrimination. Renata herself was violently attacked by two racist men in the presence of her son Tibor, who was deeply traumatized by the incident. In Hungary, the three children were bullied and ostracized as Roma. In Montreal, they have made friends and found confidence. Importantly, Tibor (13) and his sister Lili (9) have finally received the support they need to address language development difficulties that did not receive necessary attention in Hungary. 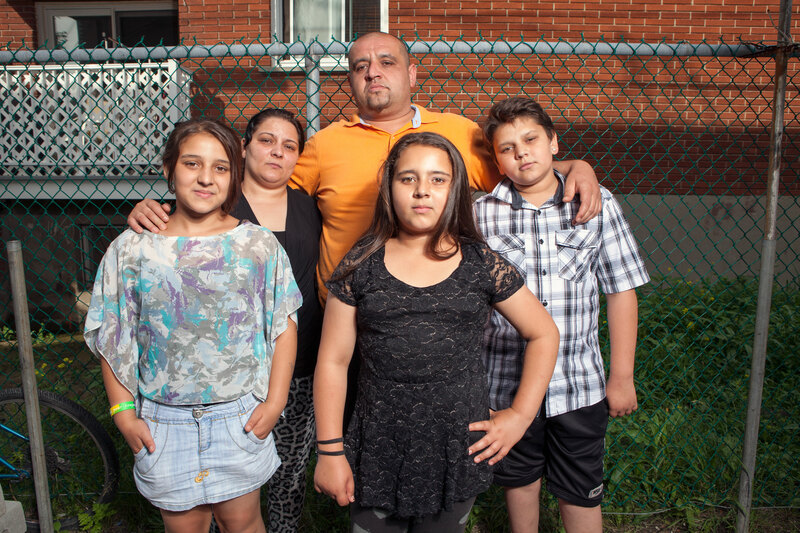 Despite the widely documented violence and discrimination against Roma in Hungary, the Canadian government maintains that the country is “safe”, meaning that the Buzas family is not eligible for a pre-removal risk assessment before deportation. The family has lived in Quebec since 2011 and applied for permanent residence on humanitarian grounds last year after being refused as refugees. They are now scheduled for deportation on July 3rd, even though their application has not yet been decided. If they are deported, the minister no longer has any legal obligation to respond to their application and in practice deportees are not accepted. Renata Buzas brought her children to Canada to protect them from the discrimination and violence against Roma that she experienced her entire life in Hungary. Canada is about to send them back, before their application for permanent residence is even decided. Reports on violence and discrimination against Roma in Hungary, click here. ** Come out to show your support for the Buzas family at a Press Conference on Monday, 30 June at 10am at 1500 de Maisonneuve West, #204. ** Write to Federal Minister of Immigration Chris Alexander and ask him to simply respond to the family’s humanitarian application before they are deported on July 3rd. Point out that in other recent cases, the government has quickly responded to give an answer before a deportation date. ** Consider making a donation to the Buzas family. If they are deported next week, they will be leaving with nothing. They have absolutely nothing in Hungary, having sold everything in order to come to Canada. Also, they are looking for large suitcases and a duvet if you have one to donate. If they are not deported, the donations will help pay for campaign costs. Status for All! End Deportations!